In days gone by, IT shops had to manage storage by deploying and learning a unique tool for each type of vendor product in use. But as data sets about usage, performance, and security grow, simply managing a metrics database now becomes a huge challenge. And with IoT, key systems metadata is itself becoming much more prolific and real-time. 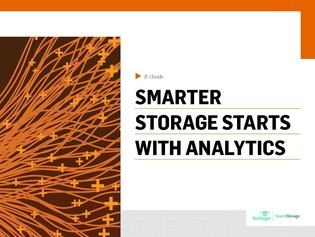 In this e-guide from SearchStorage.com, Senior Analyst Mike Matchett walks you through how to use smarter storage infrastructure with embedded analytical intelligence to harvest the desired value from your data, with real-time analysis and optimization. Read on to learn the top 5 benefits of storage analytics, how to utilize storage-hosted lambda functionality, and more.